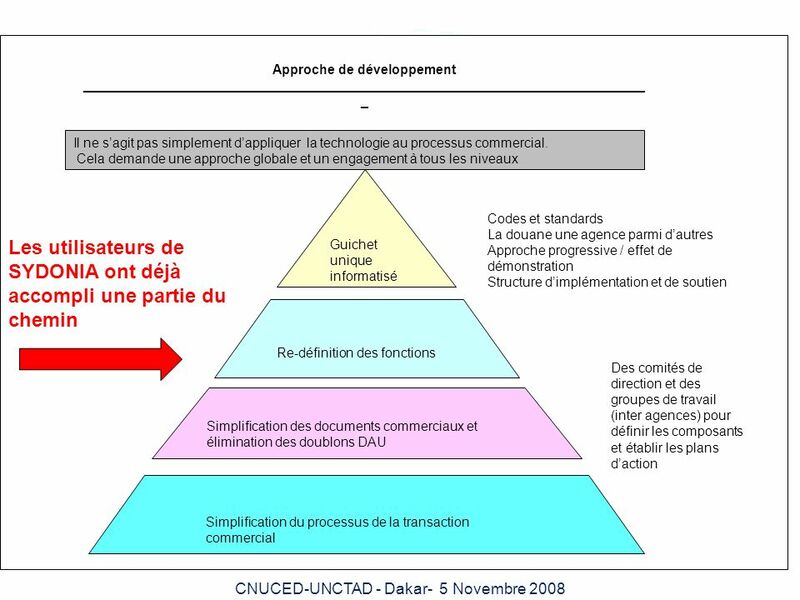 3 Quels sont les objectifs ? 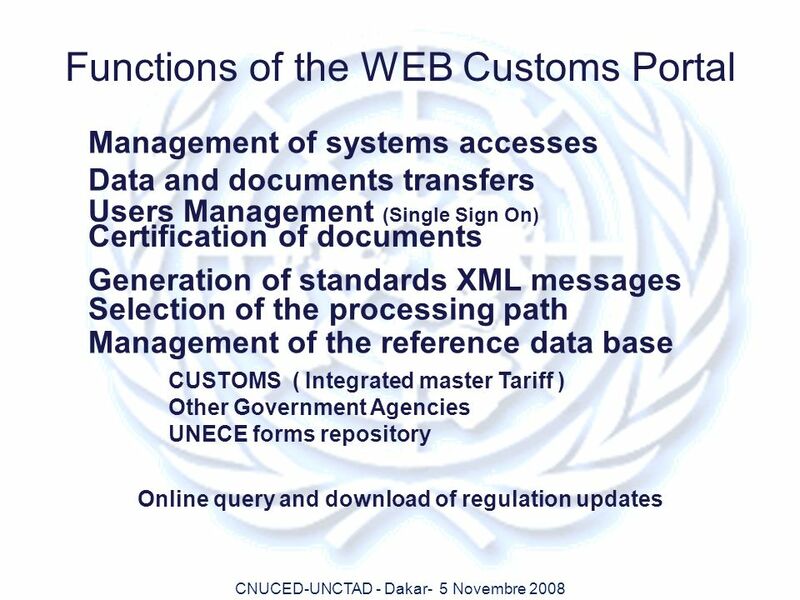 22 This will result in cutting costs and reducing clearance time. 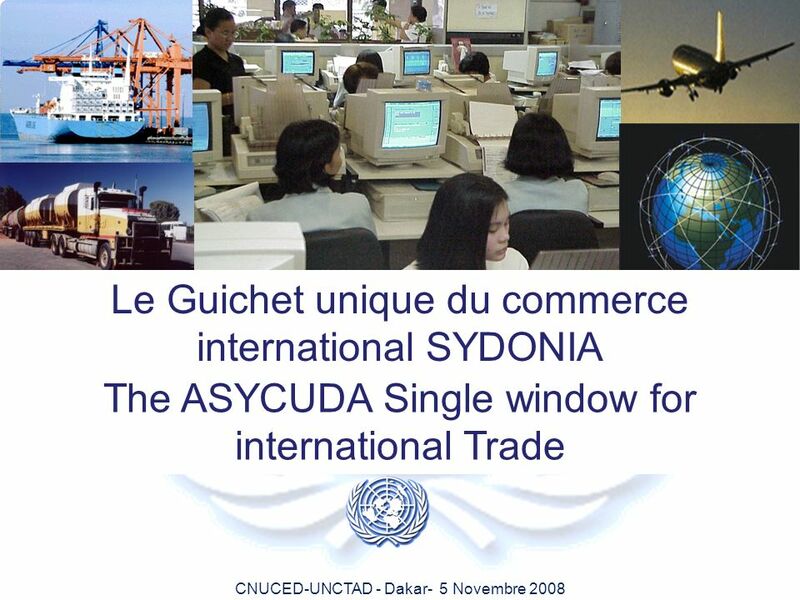 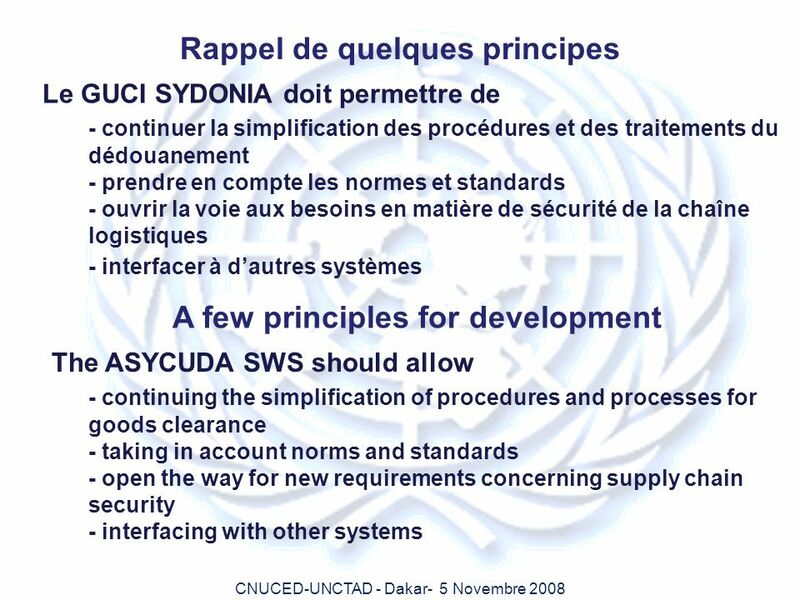 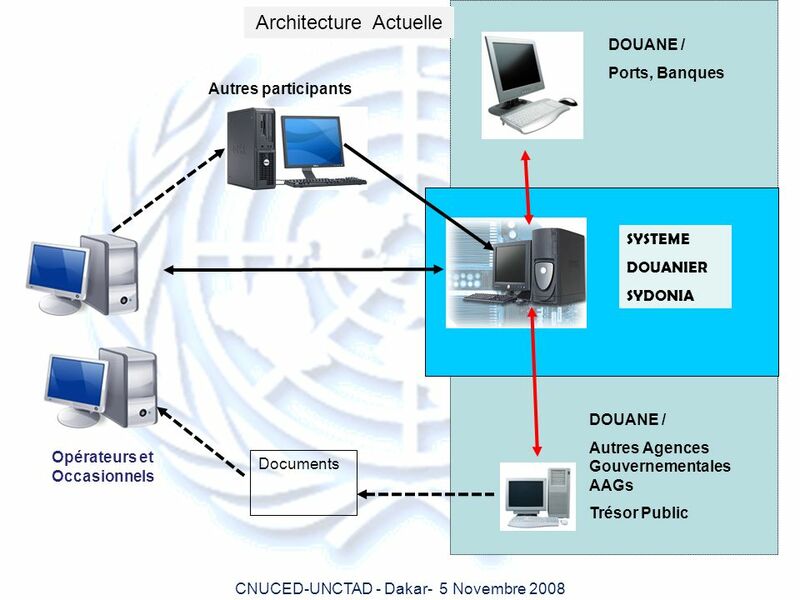 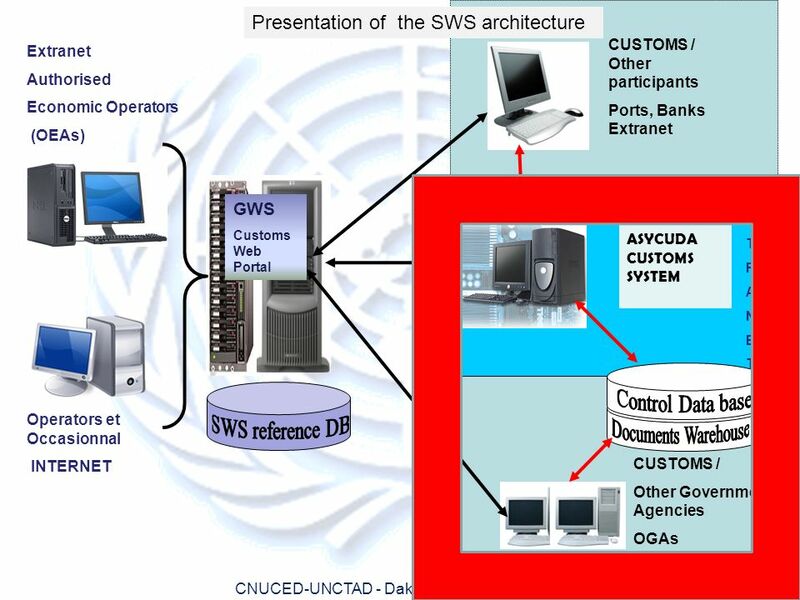 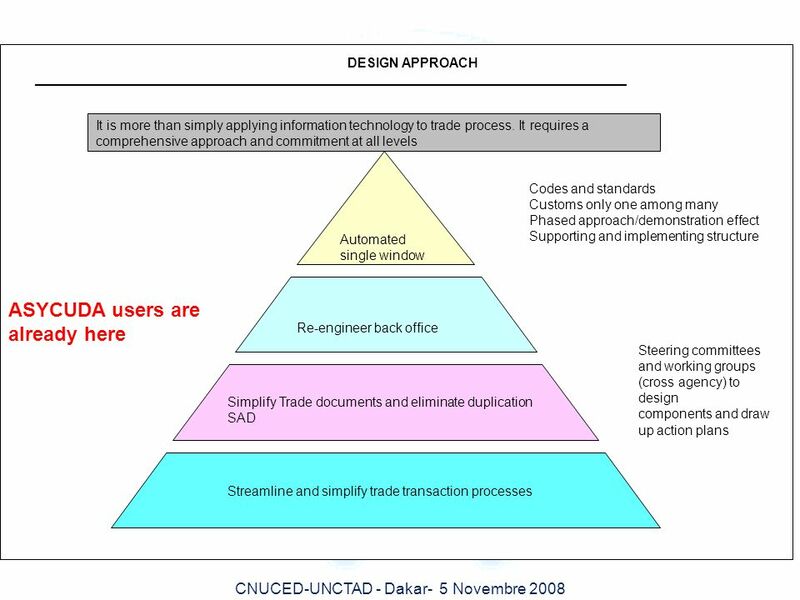 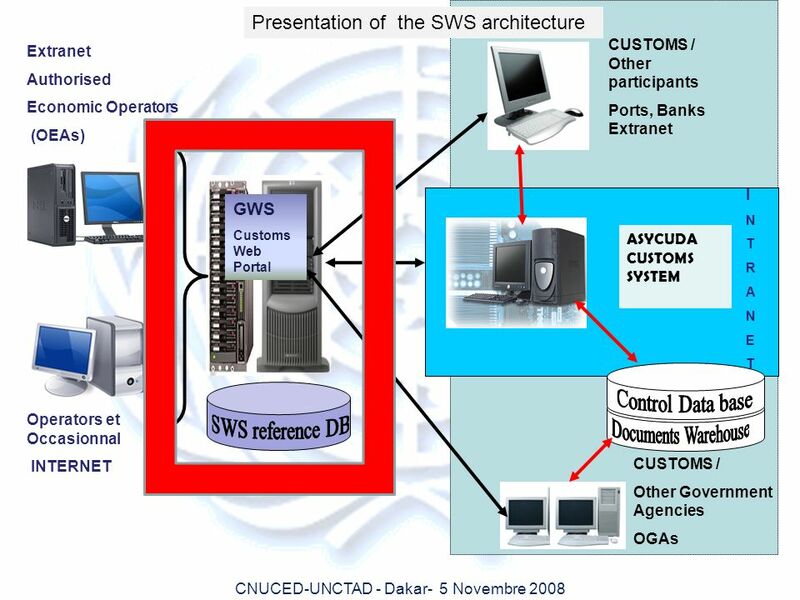 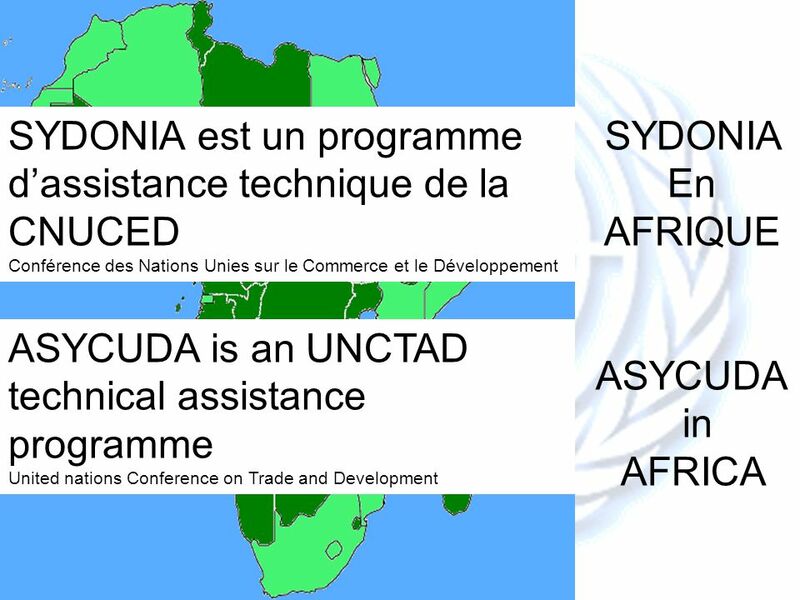 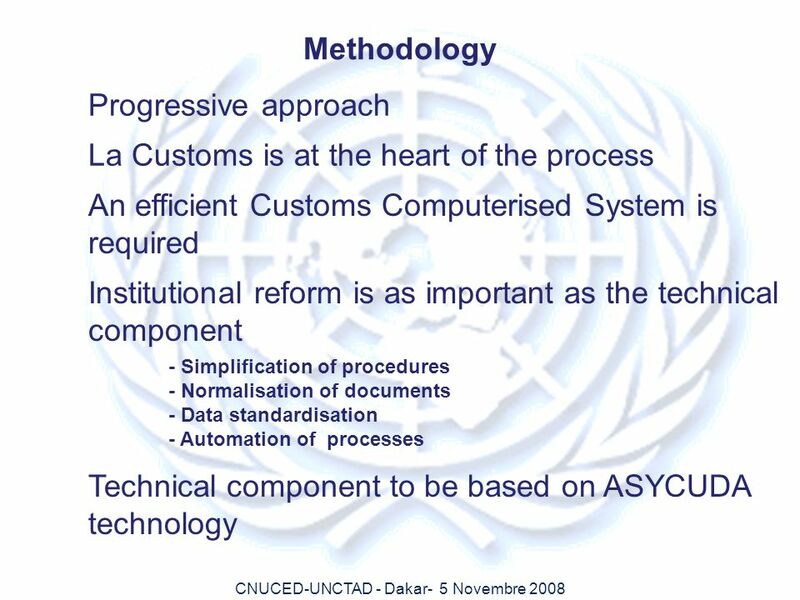 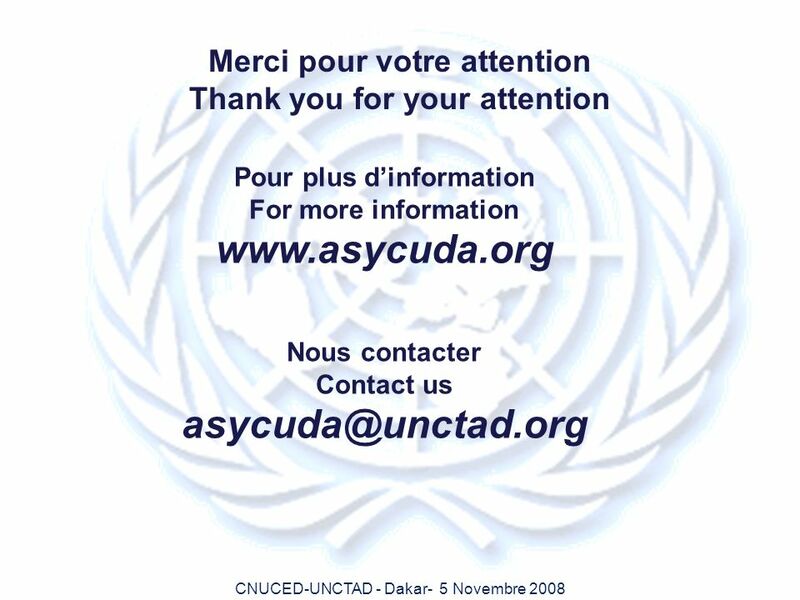 The objective of the Single Window System functions will extend the efficiency of ASYCUDA for the Trade Community, Customs and the other Governmental agencies. 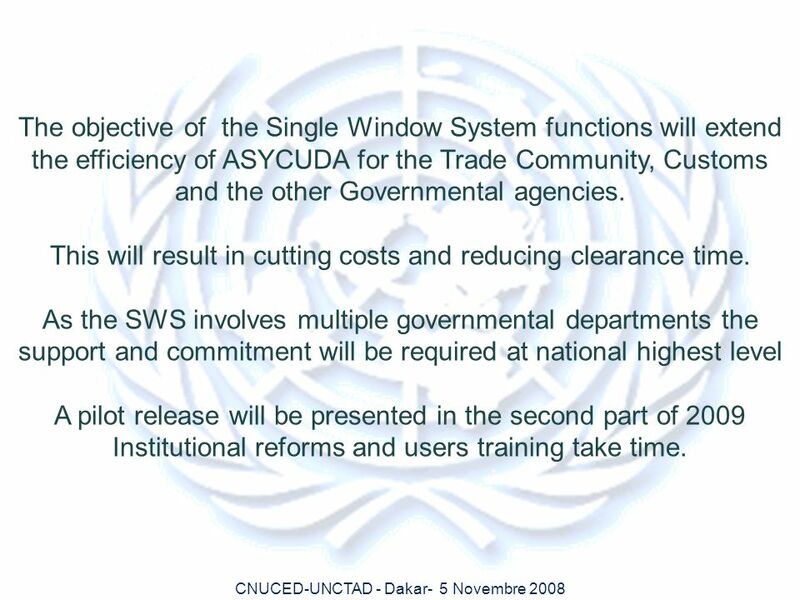 This will result in cutting costs and reducing clearance time. 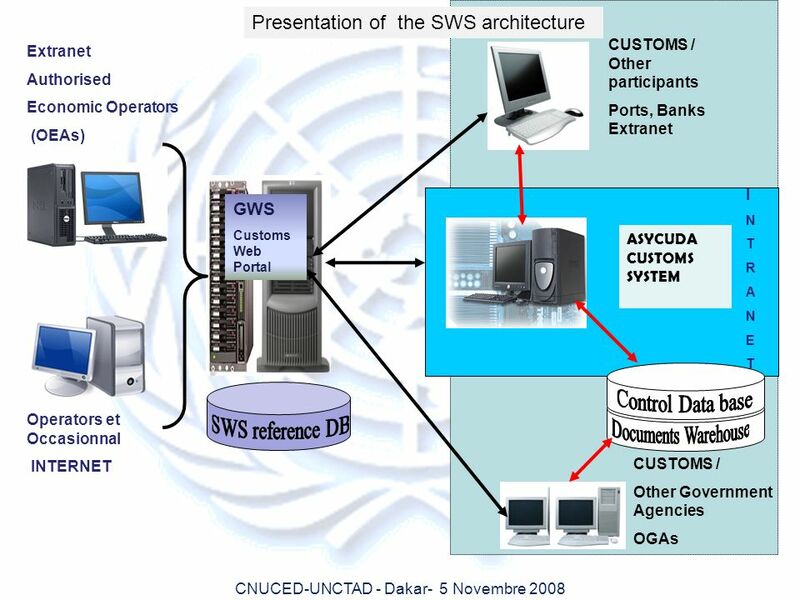 As the SWS involves multiple governmental departments the support and commitment will be required at national highest level A pilot release will be presented in the second part of 2009 Institutional reforms and users training take time. 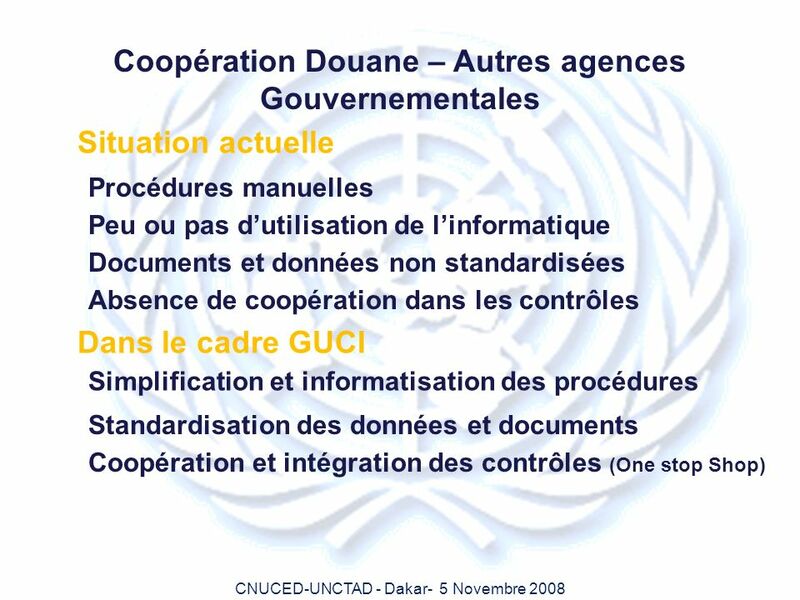 23 pour la Douane et les autres agences gouvernementales. 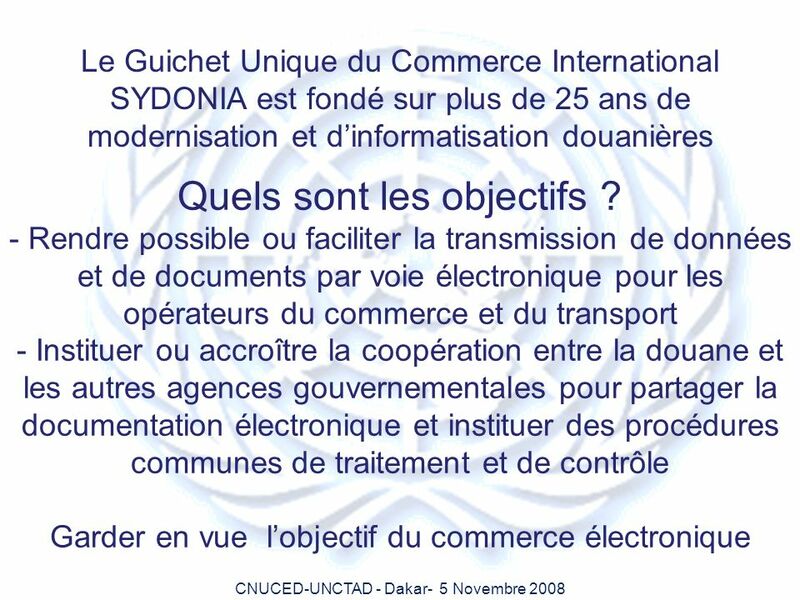 Télécharger ppt "Le Guichet unique du commerce international SYDONIA"
1 Project supported by the European Commission ECREIN Platform in Rhône-Alpes (RA) Analysis of instruments and actions to support eco-innovation and eco-investment. 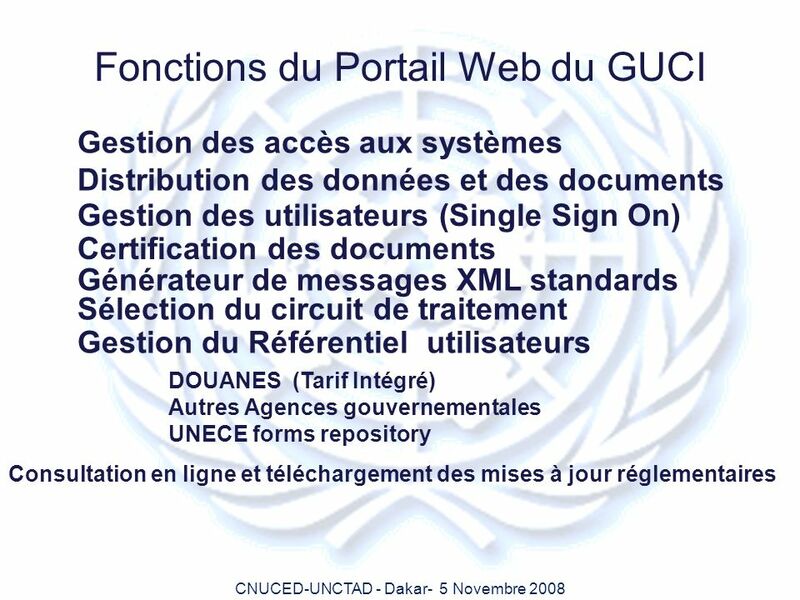 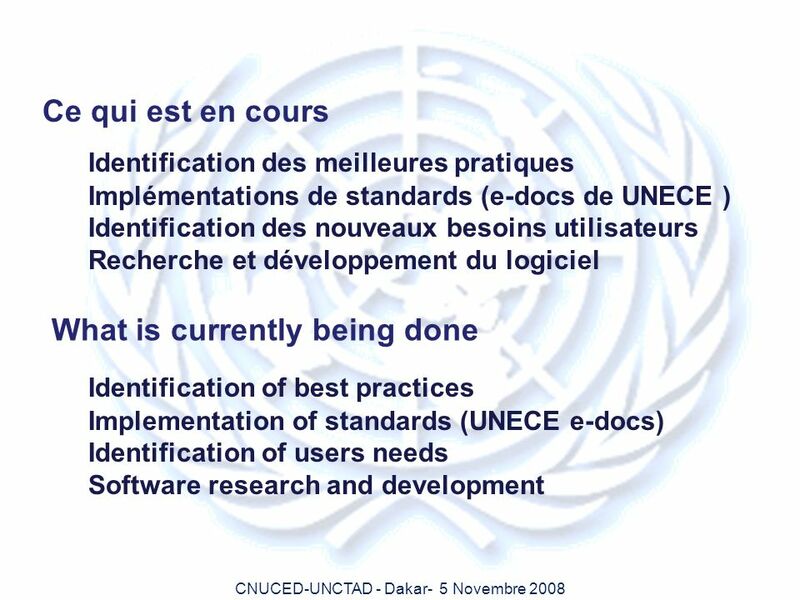 GINIE Data Policy workshop France F. Salgé G. Bertrand Y. Riallant. 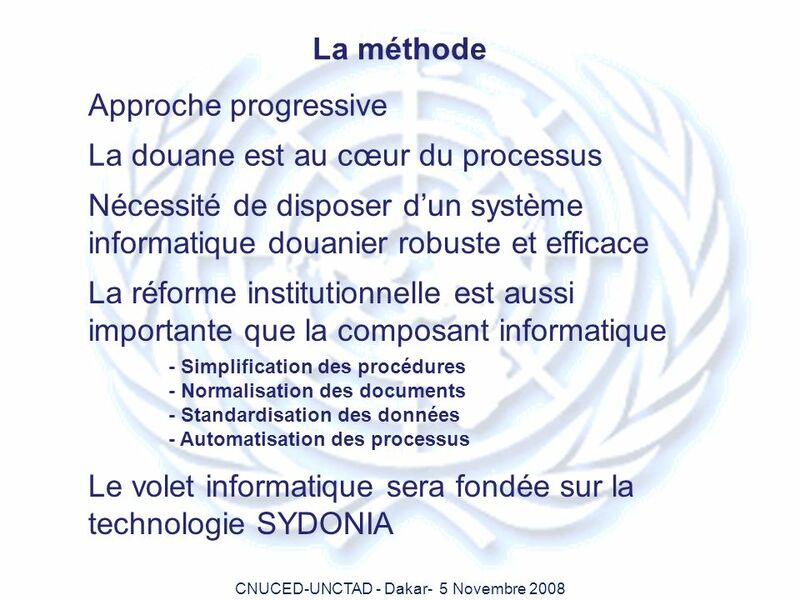 STEVE WOLOZ & ASSOCIATES INC. MANAGEMENT CONSULTANTS Comment formaliser et vérifier les processus et procédures RH Le 8 septembre 2008. 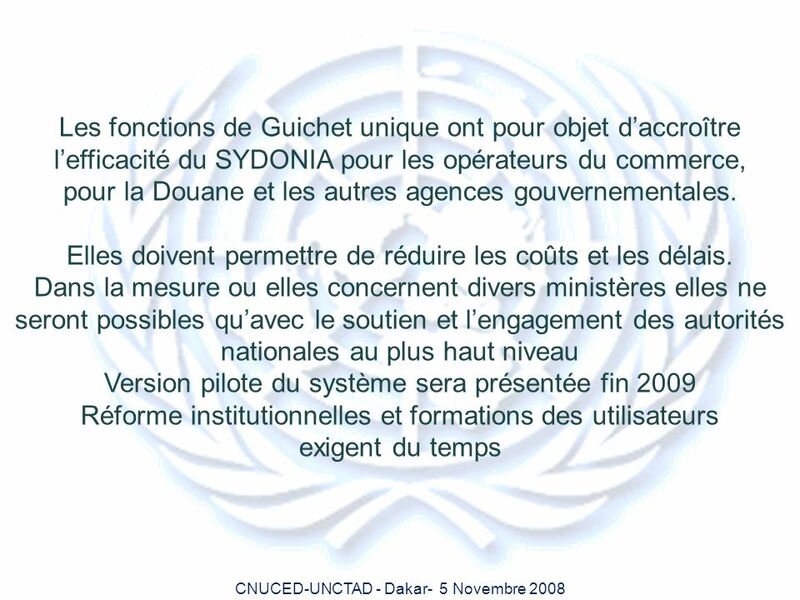 Tbilisi – November 27, 2007 FAO / EBRD COOPERATION PROGRAMME ______ PROTECTION OF GEORGIAN WINE APPELLATIONS. AFRICAN GROUP ON NATIONAL ACCOUNTS ------ AGNA ------ GROUPE AFRICAIN DE COMPTABILITÉ NATIONALE C RÉATION DU R ÉSEAU AFRICAIN DES COMPTABLES NATIONAUX.